We will work with tango as a dialogue of movements between Leaders & Followers and explore ways to generate playful communication. Technique & Tricks, Play with Ideas, Improvise & Create! (includes short break). We will explore several different styles of Argentine Tango, using sequences from the Old Masters and also elements from non-traditional and stage tango that have been incorporated into current-day tango. We'll experiment with different types of embrace, axes, music, etc. to find new inspiration. (includes short break). Join us at the Weekend Milongas! Friday at Vida Mia with DJ Gozde Colak! Saturday at Blue Milonga with DJ Jessica "La Vitrolera"! José will be teaching privates April 11 - 15. $100 / hr + Studio Fee if taking the Sat-Sun Super Package, or as part of a package of four privates. A major force for tango, an innovator and consummate artist, José Garófalo (from Buenos Aires) will be in Boston April 11-15 as part of his US tour (see below). With over 30 years of tango and an extensive knowledge of tango's artistry and history, José is an important resource and link between milongueros of the Golden Age and new tango trends. José has taught tango at the University of Buenos Aires for about 20 years, and also organizes major tango events, shows and theatre productions. 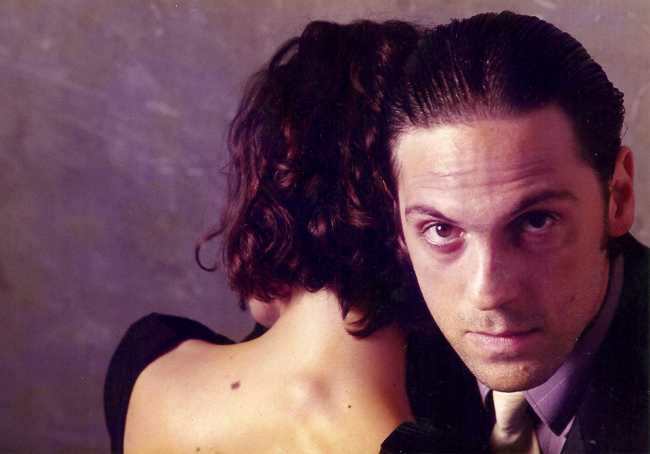 In 2000, he co-founded Porteño y Bailarín, a popular milonga in Buenos Aires. He is President of the Civil Cambalache Association and has directed the Cambalache Festival since 2004. He has produced multimedia tango and theatre productions and was a juror for stage and salon tango at the International Tango Festival in Buenos Aires since 2008. José is an excellent instructor and has been in high demand for teaching and performing around the country (see a demo with Mariana Fresno.) Take this special opportunity to study with him!